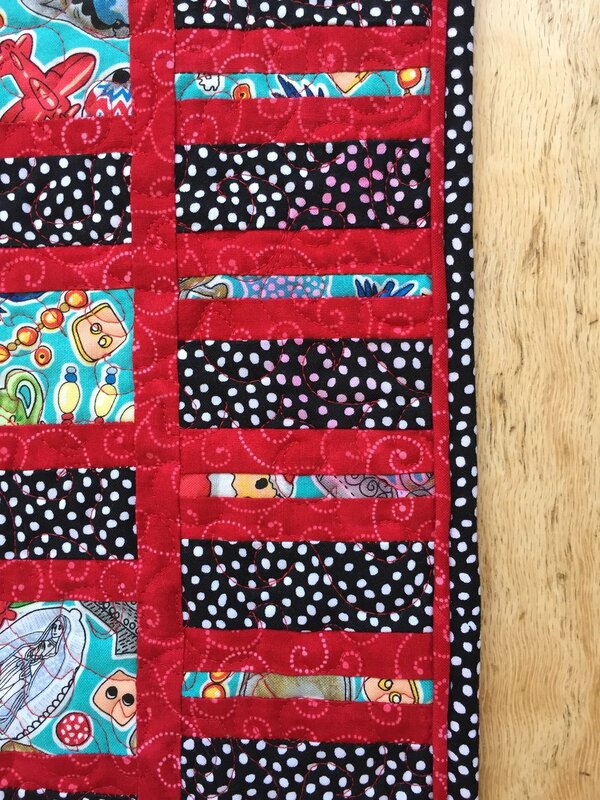 When I was admiring my first quilt with piped binding, to my horror I noticed that the black-with-white-polka-dots fabric was actually black-with-PINK!-polka-dots in one area at the edge of the quilt (as seen above on the left). I could only imagine that the edge must have come in contact with some condensation from a glass of iced tea I had on the table where my sewing machine resides and thus the red fabric ran. AAAAK!